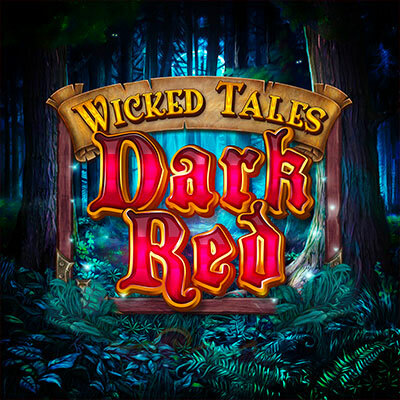 In the latest release by Triple Edge Studios, experience a twist to the classic story and enter the magical world of Dark Red - Wicked Tales! Every spin of the 5-reels and 25-bet lines has the chance to score 3 bonus symbols and reveal the Wolf's Wheel Bonus, ultimately rewarding you with one of 4 Free Spins or entry to the wealthy Forest of Fortunes! From within the Forest of Fortunes, pick among the attractive leather pouches for cash prizes or hatchets to defend against the sharp teeth of the Wandering Werewolf! Breathtaking wins and magical encounters await as you help the hooded femme fatale on her quest through the foreboding forests of Ravenmire. Unveil the mystery of the dark past, lover's quarrels, and more through this game's Bonus Features and unimaginable Mega Wins!